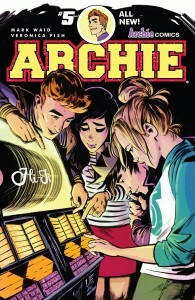 Archie and his various incarnations with Betty & Veronica, Jughead, and the rest, have been around most of our lives. The versions I remember had Archie in a sweater vest and bow-tie with tic-tac-toe sideburns. I never understood why Veronica and Betty were ever fighting over him. He seemed very average, not very cute and frankly really DENSE about girls. Fast forward to 2015 with Mark Waid and new artists, and suddenly Archie is CUTE and popular, and you get why girls who look like models would want this boy. He’s sweet and really loyal to his friends. 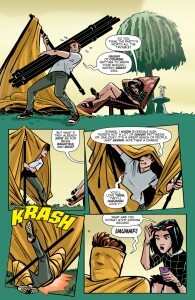 This issue has Archie bowled over by the new girl, Veronica Lodge, and his friends’ plot to “save him” from her. 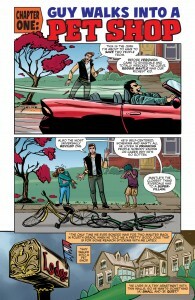 This involves a scheme with the ONLY person in Riverdale that Archie doesn’t like, Reggie Mantle. Not surprising, Archie doesn’t even dislike him that much, more dismayed that bad things happen to people when Reggie is around. 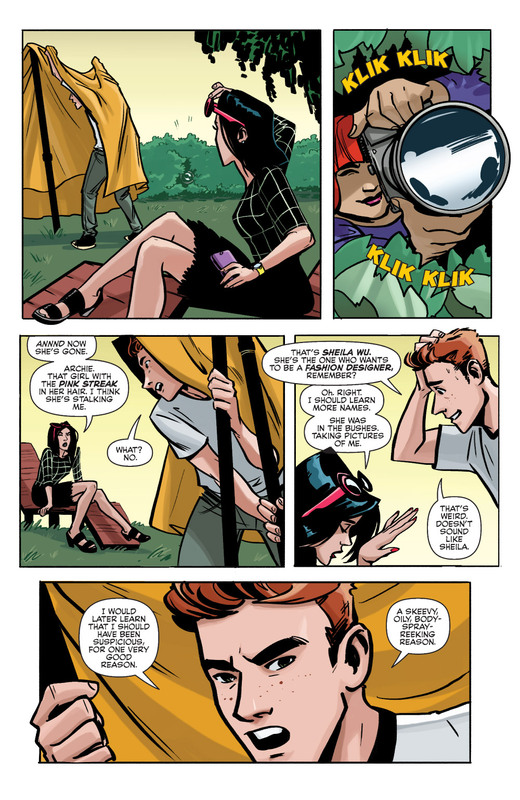 Waid is doing a fantastic job of keeping the feel of Archie alive, but telling stories that real people in the new millennium actually want to read. Penciling duties has been switching around in this book. 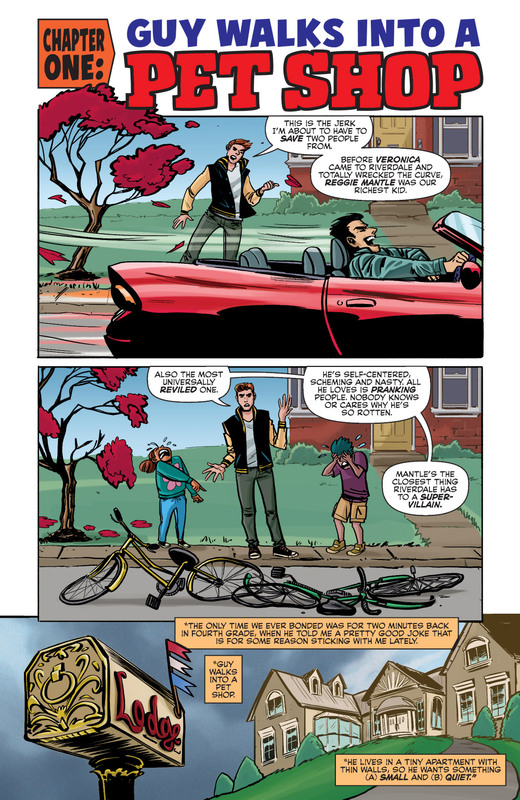 Archie #5 has some great art by rising comics star Veronica Fish (See Howard the Duck). 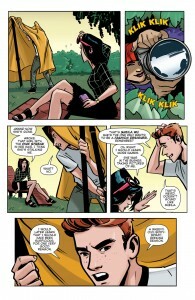 She fits very well into the Waid-penned Archie universe with good lines and some well-chosen angles. She even makes Reggie talking on the phone look dynamic. Fish definitely fits in with the art we’ve seen from Fiona Staples and Annie Wu. Hopefully we’ll see a lot more from Veronica Fish in the future. 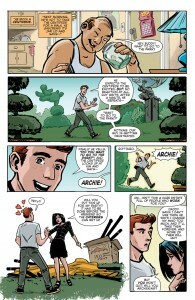 If you haven’t been reading Archie lately (and why AREN’T you?? 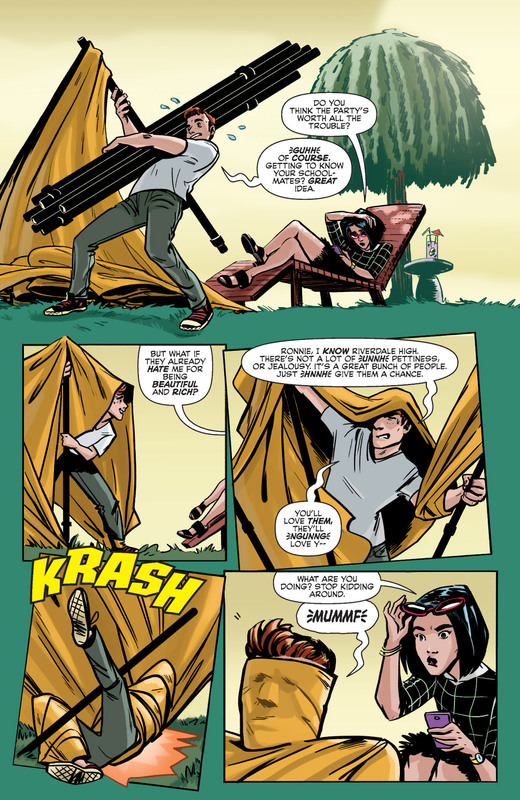 ), you may not be aware that Waid always features a short classic Archie story at the end that ties into the current issue in some way – a theme or a character – that makes you appreciate how far Archie has come since he first appeared in 1941. It’s a nice touch, paying tribute to the roots of these characters and their world. Oh, to be a teen again!